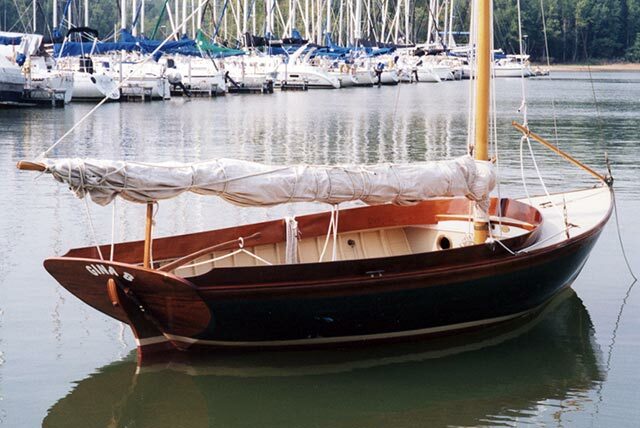 GINA B is a Joel White Haven 12-1/2 built by Paul Bunch of Raleigh, NC. He estimates it took him 1,800 hours of work spread out over 3-+ years, with occasional help from his wife and two daughters. 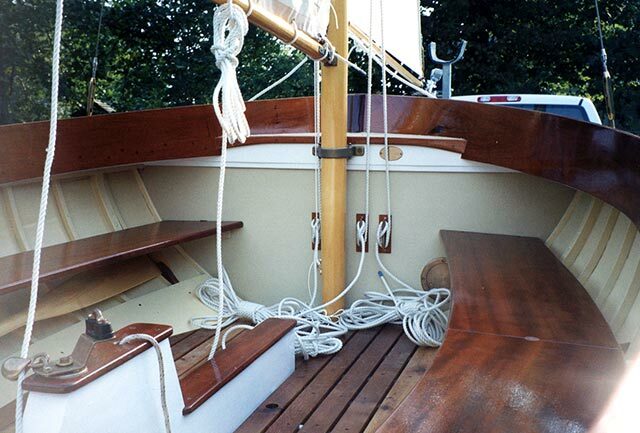 Paul used a variety of wood in GINA B - planking is juniper, spars are sitka spruce, keel and frames are oak, trim is mahogany, floors are Western red cedar, and seats are of Brazilian cherry. 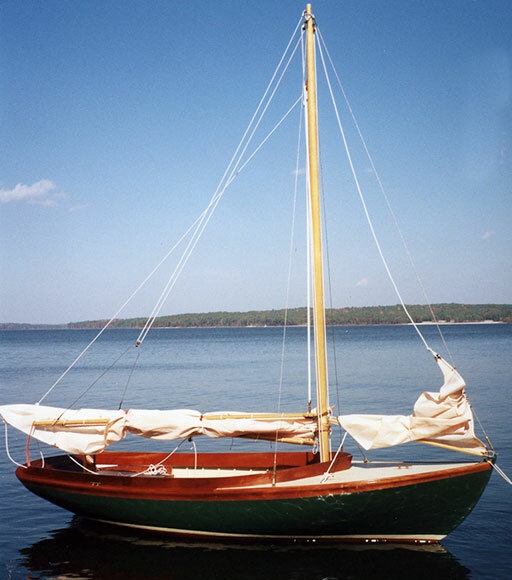 The 600 lb keel is made from melted-down tire weights. Paul adds that he knows of two other amateur builders in NC who are working on Havens of their own. Paul can be reached at opbunch@yahoo.com.